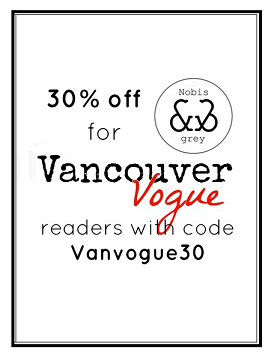 Here on Vancouver Vogue, I love sharing affordable outfit inspiration with you. An outfit shouldn't have to break the bank to make you feel awesome. I feel absolutely giddy about this sweet bow-filled outfit, and guess what? No item here is over $20! I am so over the moon with this top: I love black and white, and have a not-so-small obsession with bows, so when I spotted this SheIn checked bow split back peplum top online, I crossed all my fingers and toes that it would fit. It's got quite a boxy, looser shape in the front, but I think this is actually preferred for hot spring/summer days, and the openness of the back is not only super cute, but great for letting a much needed breeze through to keep me cool. The temperatures are on the rise here early this year (is it summer here already?? ), so I'm going to be choosing tops like this more to stay cool in the summer heat. I also love that the bows on the back are adjustable - you can tie them as tight or as loose as you'd like, if you'd rather show a little more or less skin! If you're feeling like your shirt wardrobe needs some spicing up, "party in the back" tops like this are great. You can see a few of my other "party in the back" tops here and here. Disclaimer: SheIn provided the shirt featured in this post for review. As always, opinions are entirely my own.